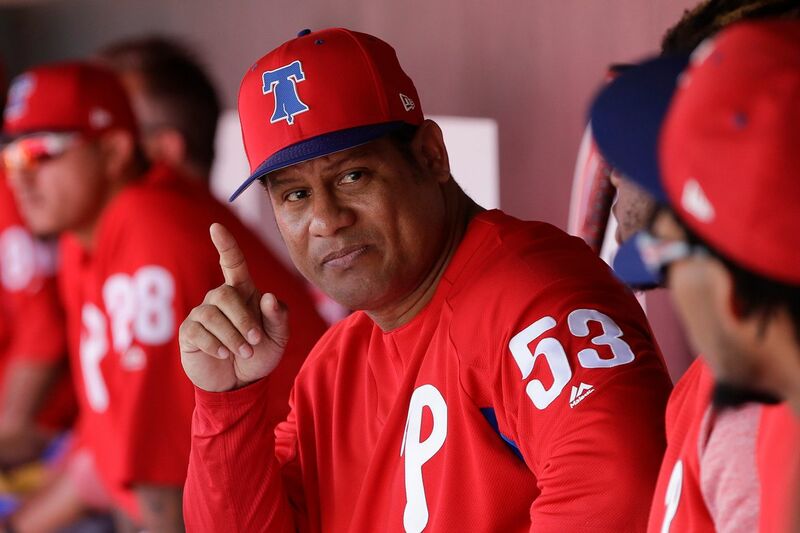 Bobby Abreu was a special guest instructor for the Phillies during spring training earlier this year. CLEARWATER, Fla. — Later this year, Bobby Abreu will appear on the Hall of Fame ballot for the first time since he retired after the 2014 season. First, though, he will be added to the Phillies' Wall of Fame. Abreu will be inducted Aug. 3, as part of the Phillies’ annual alumni weekend, the team announced Wednesday. The former right fielder spent nine of his 18 big-league seasons with the Phillies, batting .303 with 348 doubles, 195 home runs, 814 RBIs, 254 stolen bases, a .416 on-base percentage, and a .513 slugging percentage from 1998 through 2006. Abreu, eligible for the Wall of Fame for the first time by virtue of being retired for five years, joined the Phillies as a guest instructor early in spring training. He can stake a legitimate claim to being the best right fielder in franchise history. On the club’s all-time lists, he ranks third in walks (947), OPS (.928), and on-base percentage; tied for third in grand slams (six); and fourth in doubles and sacrifice flies (54). He also was a two-time All-Star and won a Gold Glove (2005) and Silver Slugger award (2004) in addition to the 2005 Home Run Derby. Yet, Abreu tended to get overshadowed by other All-Star right fielders. Alumni weekend also will feature the 10-year reunion of the 2009 National League-champion Phillies.